Unless you are a big fan of international gambling vacations, it’s probable you have never even heard of Macau. I hadn’t until someone said it’s like Vegas meets colonial Europe. I thought – I must see this. I mean who doesn’t like spending your days at UNESCO World Heritage sites and your nights throwing down at the glitzy Vegas style casinos. First lesson I learned; it’s not cheap. Second lesson I learned; it’s totally worth it. 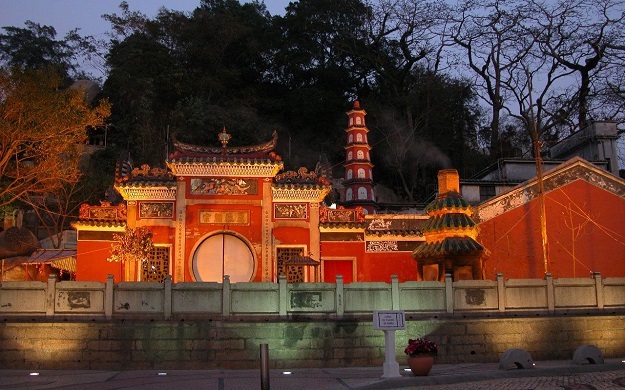 Macau is located on a small peninsula on the south tip of China and also includes two islands off the coast. Until 1999, it was a Portuguese colony and it still retains much of the European character today. While technically part of China, Macau’s government has no restrictions on gambling making it a great center of Asian tourism. The biggest changes have occurred in the last ten years or so since the local monopoly on gambling was disbanded. In 2003, Las Vegas hit Macau in a big way, with the Las Vegas Sands and Wynn Resorts leading the drive to build huge glamorous casino resorts. Now there are over 17 casinos and more in the planning. Gambling is the number one GDP of Macau and revenues skyrocketed from $7 billion in 2002 to $55 billion in 2015. This increase of amazing arenas brought events from the Asian Pacific Poker Tour for a few years and now the PokerStars Championship Macau. Due to the popularity of the events, PokerStars LIVE is now a permanent fixture of the City of Dreams. Gambling in Macau is very different than Vegas. The majority of tourists who flock to the casinos are from China and Hong Kong and are very serious about their card games. However, even though alcohol is not allowed on the pit floor, there is still plenty of fun to be had. One of the coolest parts about Macau is once you step out of the “Vegas” section, it’s like you stepped back in time to colonial Europe. There are some of the best small cafes lining old cobblestone streets featuring Portuguese delicacies, including our favorite Margaret’s Café e Nata, which has delicious Portuguese tartlets. 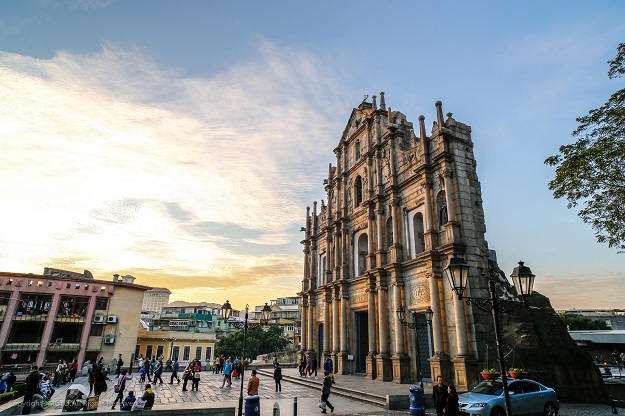 Walk a little further into the older parts of town and you will suddenly find yourself at the Ruins of St. Paul’s Church, which was named a UNESCO World Heritage site just a few years past. The gardens are something to behold and what is left of the church has been around since 1550. 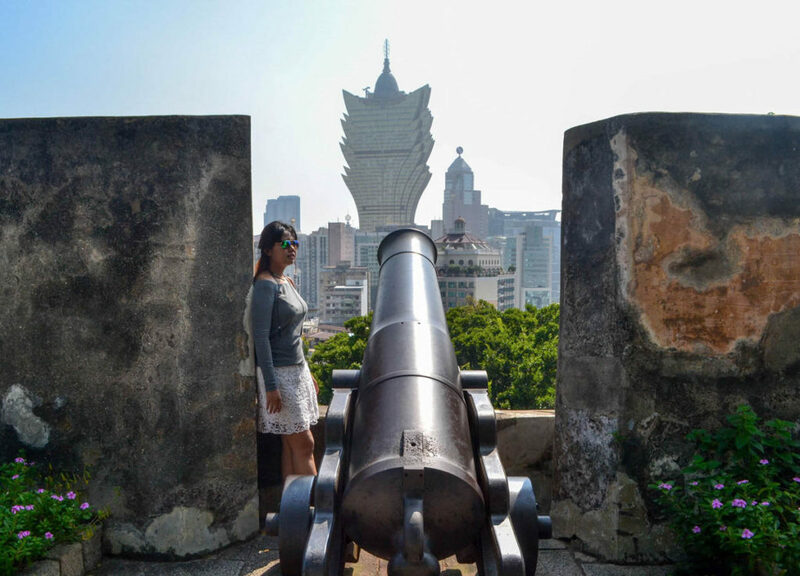 The nearby Fort Monte was built in 1616 to defend the church from local pirates and they have also built a more recent Macau Museum to house local treasures of art, sculpture and statues. Had enough history and want a little excitement? The Macau Tower is also the home of the world’s tallest bungy jump and the world’s highest tower climb. 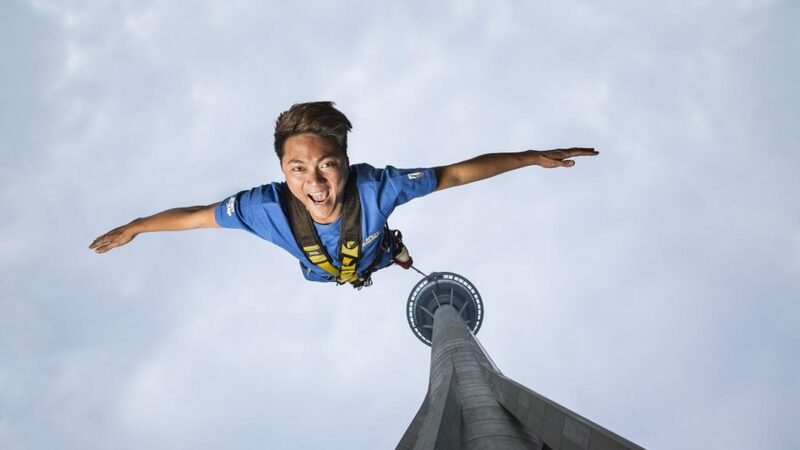 AJ Hackett’s Ultimate Adventure Company offers a hair raising 233 meter leap off the skywalk of the Macau Tower as well as a free climb (in harness, of course) to the top of their 338 meter tower. From the top, you will get one of the most amazing 360 degree views you will ever have. How about a little shopping? 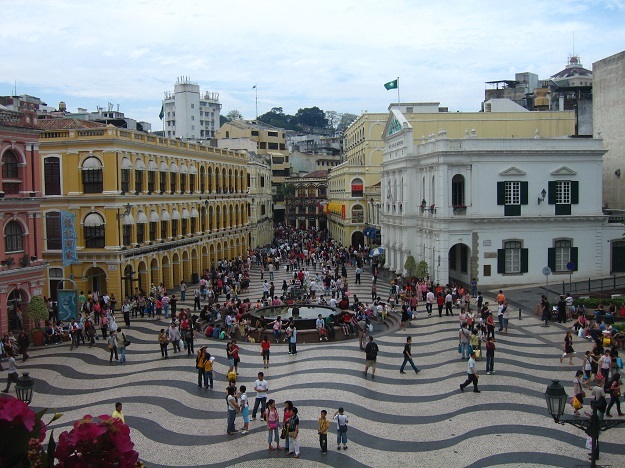 Macau’s Senado Square has many shops and restaurants to offer up. You can find a mix of Asian and European cuisines as well as a huge selection of fine clothing, jewelry, handmade bags and lots of local trinkets. And if you need just a little more culture and history, we loved visiting the A-Ma Temple, which was built in 1488 and dedicated to the sea goddess. Nowhere else on Earth will you find such a collection of old and new, East and West and flashy and subdued. Honestly, this place really does have something for everyone. Also, it certainly isn’t unattractive that Macau claims the longest life expectancy and some of the happiest people on the planet. This place is definitely on my tops list, and I would go again and again.